At a recent energy industry conference in the US, oil and gas executives have labelled gas the “forever fuel” having already convinced many governments it is “clean”. If they succeed in their expansion, science tells us that “forever” will end soon. In the US the urgency to expand was reflected, during the partial US government shutdown in January, by 260 oil and gas drilling permit applications being accepted, even as federal agencies suffered severe staffing shortages at all levels. Massive gas development is also being urgently pursued in Australia, Canada, Qatar and Africa. In Australia huge expansions in conventional and unconventional gas mining in the Northern Territory, Western Australia, Queensland and possibly NSW, are imminent. State and national governments believe that expanding gas production can be ‘made safe’ for people and the local environment and will help reduce world greenhouse gas emissions (GHG). Our recent comprehensive review of the literature disagrees, citing wide evidence that living near gas mining operations is linked to significant health and wellbeing risks and measurable differences in birth outcomes. The international and national gas industries nevertheless promote this expansion by calling gas “clean”, without defining clean and failing to mention its immediate extreme heat-trapping potency, raising health risks at a global scale. Carbon dioxide is responsible for three quarters of GHG remaining in the atmosphere to act, relatively slowly, over centuries. Methane (also called natural gas) makes up 17 per cent of GHG emissions and breaks down more quickly, but is 85 times more potent than carbon dioxide over 20 years. Since 2006, atmospheric concentrations of methane have risen sharply, mostly through human activities. As a result, the recent IPCC report demands urgent and deep reductions in emissions of methane, trophospheric ozone and black carbon (also from fossil fuels). IPCC’s modelling (2018) shows that if emissions of these pollutants are not in rapid decline by 2030, we have little chance of limiting warming to 1.5oC or even 2oC. “Limiting warming to 1.5°C implies reaching net zero CO2 emissions globally around 2050 and concurrent deep reductions in emissions of non-CO2 forcers, particularly methane (high confidence)”. The alarm has spread to the World Health Organisation, recognising the enormous health implications, stating as its first recommendation in a Special COP24 Report on “Health and Climate Change”: “To identify and promote actions to reduce both carbon emissions and air pollution, with specific commitments to reduce emissions of short-lived climate pollutants in Nationally Determined Contributions (NDCs) to the Paris Agreement”. In fact this problem has been recognised for several years but buried in the ‘green’ mantra of gas. The additional bad news. There is now increasing scientific evidence that the overall potential of GHG from gas is much the same as for coal – and far, far higher than renewable energies such as wind and solar energy. Extensive studies by NASA from the Jet Propulsion Laboratory at CalTech have confirmed that the oil and gas industry is responsible for between 48-76 per cent of all methane emitted from human activities. To date research suggests that on average 1.7 per cent of methane produced is lost directly, often unmeasured, into the atmosphere during production – at well heads and during processing. This figure is likely conservative because methane is also lost from natural gas-fired power plants and oil refineries, two major end users and from infrastructure blow outs around the world, for example. Teams of scientists are studying methane losses across the full life cycle of production and distribution. Although we don’t know exactly how much and where methane is lost, it is clear that the more gas produced, moved and burnt the more methane is released into the atmosphere – and time is running out. Even more bad news. Gas has been touted as the transitional fuel from coal to renewable sources. However the reality is that gas is competing with renewable energy in many countries. For example in the US, where drilling and fracking have been so widespread that 17.6 million Americans are now living within a mile of at least one hydraulically fractured well, total fossil fuel usage has remained the same. In some new Australian housing developments, gas connections are mandated, but solar panels are not. New gas mines operate for decades, hence it is difficult to imagine how Australia’s new expansions will enable honouring of any emission reduction targets. For example, Arrow Energy’s newly approved project aiming to drill 2, 500 in Queensland’s Darling Downs (joining 6,300 already operating wells) expects peak yields to begin in 2027. As with coal, government failure to use full cost accounting ensures that gas is relatively cheap for the immediate purchaser, but communities bear the brunt of resulting calamities. Any good news? In Australia the Rocky Hill coal mine judgement that GHG should be part of any development decisions has strong implications for oil and gas. Furthermore, this week the British High Court ruled the government’s fracking guidelines unlawful, due to poor consultation and ignorance of scientific evidence of its impact on climate change. 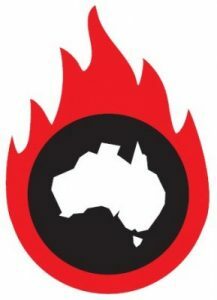 See DEA’s recent review of the local, regional and global risks to Australia’s health and wellbeing posed by gas mining here, and our recommendation that there be no new gas mining in Australia. Read the full article with hyperlinks in Renew Economy, here. 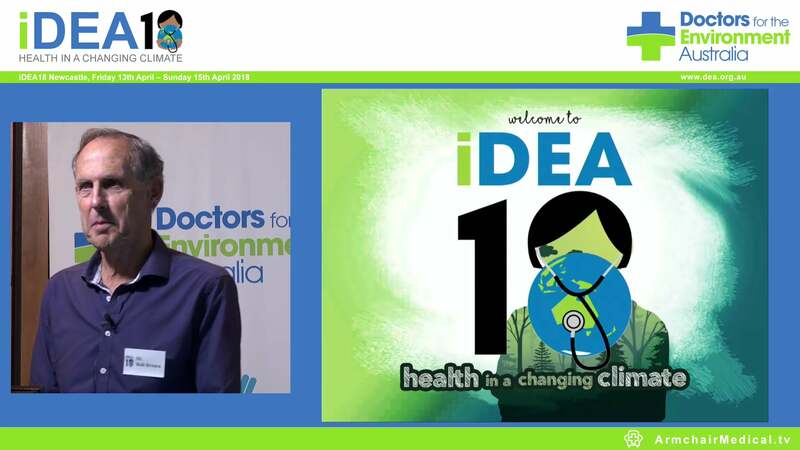 Dr David Shearman AM FRACP, Honorary Advisor to Doctors for the Environment Australia www.dea.org.auand Emeritus Professor of Medicine, Adelaide University.